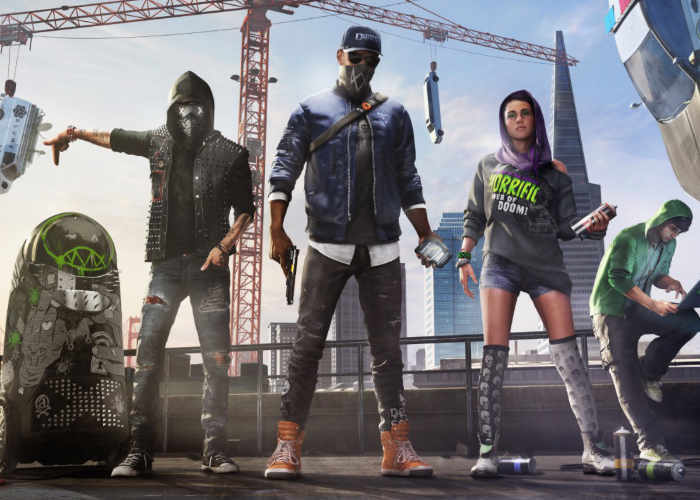 Watch Dogs 2 is releasing a new major DLC of the game, it is called Human Conditions, fans will be pleased to know that Ubisoft has released a new trailer containing new footage and details of the DLC. The Watch Dogs 2 Human Conditions DLC adds elite co-op challenges, a new type of enemy, and three new multi-mission Operations to the storyline. Upcoming DLC will be available next week on the PlayStation 4 on February 21st and on March 21st for Xbox One and PC systems. Ubisoft explained more about the DLC and what you should expect from the storyline and how it will build on the main story of Watch Dogs 2? These operations fit snugly into the middle of the main story where DedSec has upped its game and is looking to tackle more hacktivist issues. They’re picking targets that will help them not only gain followers and positive press, but also to fight back against abusive technology. With that said, you will need to have met a couple of the key players in your game before you can dive into these. The stories here will primarily put you up against several corporations and their high-tech security as well as the Bratva (Russian Mafia). The characters. Fans of either Watch Dogs games should find plenty of surprises here and some really fun character moments. I want to say more but I don’t want to spoil anything! It’s a really fun experience overall! What’s most exciting about having old characters interact with the new ones? By the time you’re bringing back old characters in a new game, you know everything about them. You know the mannerisms by heart. You know the actors behind them and can write to their strengths. These are your tested (And approved!) building blocks. Bringing them face to face with new characters is going to help you refine the newcomers. What does it take for somebody to stand up to T-Bone? To Jordi? When we brought back Ray, we already knew how he would react to each DedSec member and had a good idea what he could bring out in them. The fans probably did, too.